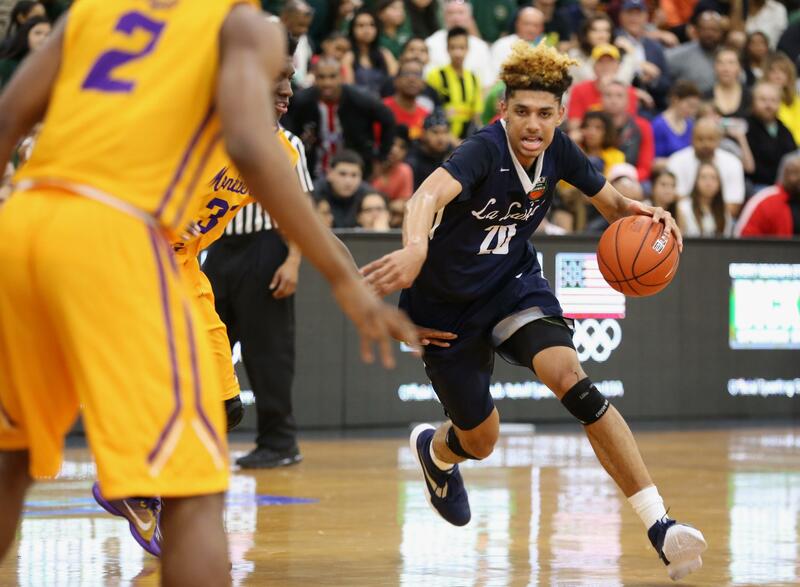 UPDATED: Wed., April 18, 2018, 4:37 p.m.
COLUMBIA, S.C. – South Carolina forward and former Louisville recruit Brian Bowen is entering the NBA draft. Bowen, who transferred to South Carolina after being suspended by Louisville amid a federal investigation into college basketball, won’t hire an agent, according to Bowen’s attorney, Jason Setchen, and a school spokeswoman. He has not played a game with the Gamecocks since enrolling at South Carolina in January. Bowen has taken part in practices and participated during pregame warmups this season. He would have to sit out two semesters per NCAA transfer rules, if he is reinstated. Bowen thanked the Gamecocks for allowing him to be part of the team. “I look forward to the (NBA draft) process and continuing to work hard on my game,” he said. The federal complaint stated that Addidas representative James Gatto and others attempted to funnel $100,000 to a recruit’s family to gain his commitment to play for Louisville. Bowen was not named in documents, but details made clear that investigators were referring to the freshman. Bowen has denied knowledge of any payment. He has until June 11 to withdraw from NBA draft consideration and return to school. He must still be reinstated by the NCAA, a process that South Carolina coach Frank Martin has said there is no rush in restoring Bowen’s eligibility. Bowen signed with Louisville last June and was expected to lead one of the Cardinals’ best recruiting classes in years. Louisville announced in November that Bowen would not play for the Cardinals but added that it would honor his scholarship. He remained enrolled through the fall semester. University spokesman John Karman said Wednesday via text that Bowen did not enroll for the spring semester. The investigation resulted in the October firings of Louisville coach Rick Pitino and athletic director Tom Jurich. Martin sought approval to sign Bowen from athletic director Ray Tanner and university President Harris Pastides, saying he believes Bowen deserves “a fresh start.” Still, Martin acknowledged this past winter the NBA might be an option for Bowen. Bowen is a former McDonald’s All-American from La Lumiere School in Indiana. He becomes the latest player who figured into Martin’s lineup for next year to look to the NBA. On Tuesday, all-Southeastern Conference forward Chris Silva declared for the NBA draft. Silva was the Gamecocks leading scorer and rebounder this past season. Published: April 18, 2018, 2:06 p.m. Updated: April 18, 2018, 4:37 p.m.